Following the much awaited release of their 5th mini album [Can’t Stop], CNBLUE will be embarking on their new concert tour [2014 CNBLUE LIVE CAN’T STOP]! CNBLUE’s 2013 [Blue Moon] World Tour started in April 2013 and ran through major cities in 14 countries attracting over 120,000 fans! The World Tour garnered spectacular reviews throughout Asia, North America and South America. In Singapore, they attracted over 6500 fans to their concert! 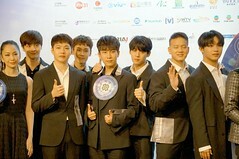 Known for their high-energy performance, CNBLUE is undoubtedly one of the most prominent bands in Korea’s music industry. Comprising of lead vocalist and guitarist, Jung Yong Hwa, lead guitarist and vocalist, Lee Jong Hyun, bassist, Lee Jung Shin and drummer Kang Min Hyuk, CNBLUE debuted in 2010 with the EP [Bluetory]. Since then, they have won countless music awards on South Korea’s music chart shows. 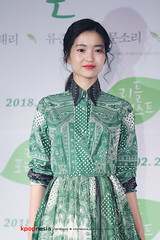 Other than music, the members have also diversify into drama acting, with Jung Yong Hwa taking on lead role in drama ‘Heartstring’ and ‘Marry Him if you dare’, Lee Jong Hyun in popular drama ‘A Gentleman’s Dignity’ alongside top actors like Jang Dong-Gun and lastly Kang Min Hyuk joining the casts of 2013 top leading drama ‘The Heirs’ along with Lee Min Ho. Even though the members are having lots more diversified developments individually, CNBLUE did not forget their passion and love for music. Shortly after the release of their highly-anticipated fifth mini album ‘Can’t Stop’ in February, it is announced that they will be kick-starting their Live Tour ‘2014 CNBLUE LIVE – Can’t Stop’ in Korea. 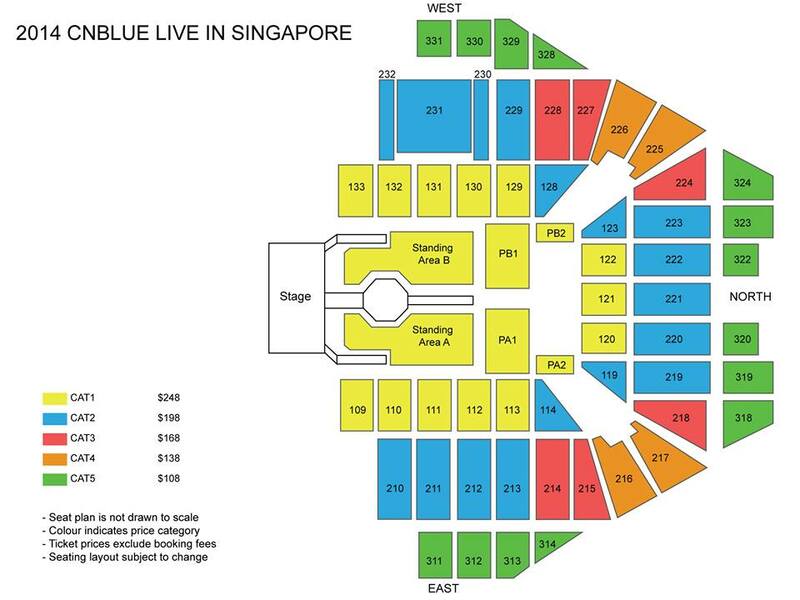 With a much-anticipated return to Singapore, CNBLUE will present an electrifying performance for [2014 CNBLUE LIVE – CAN’T STOP IN SINGAPORE] for a one night only concert on 10 May 2014 at the Singapore Indoor Stadium. 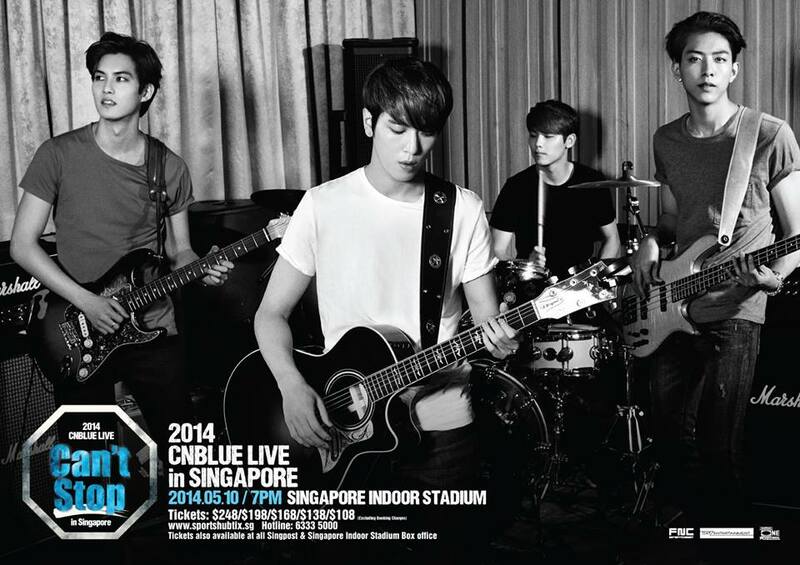 2014 CNBLUE LIVE – CAN’T STOP IN SINGAPORE will be held on 10th May, 7pm at Singapore Indoor Stadium! Tickets priced at $248/$198/$168/$138/$108, excluding all booking charges, will be on sale on 5th Apr, 10am via internet booking http://www.sportshubtix.sg, telephone booking 6333 5000 and ticketing counters across all Singpost outlets and Singapore Indoor Stadium box office. Ticket sales will start on 5th April 2014!